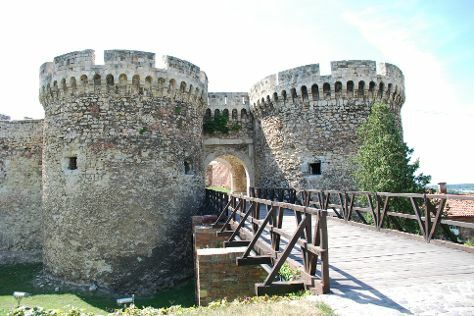 Your inner history buff will appreciate The Belgrade Fortress and Residence of Princess Ljubica (Konak Kneginje Ljubice. Attractions like Ada Ciganlija and Strand make great kid-friendly stops. Venture out of the city with trips to Oplenac (in Topola), Sremski Karlovci (in Sremski Karlovci) and Fruska Gora Monasteries (in Novi Sad). There's still lots to do: test your problem-solving skills at popular escape rooms, take in the spiritual surroundings of Saint Petka's Chapel, admire the striking features of Cathedral Church, and make a trip to Avalski toranj. To find photos, more things to do, maps, and more tourist information, go to the Belgrade travel itinerary planner. The Route module shows you travel options from your home to Belgrade. Expect a daytime high around 35°C in July, and nighttime lows around 20°C. Wrap up your sightseeing on the 25th (Mon) to allow time to travel back home.